Sarah Marangoni is admitted in London and Paris. She has over 10 years experience in international commercial and corporate law, practicing within law firms and as in-house counsel. 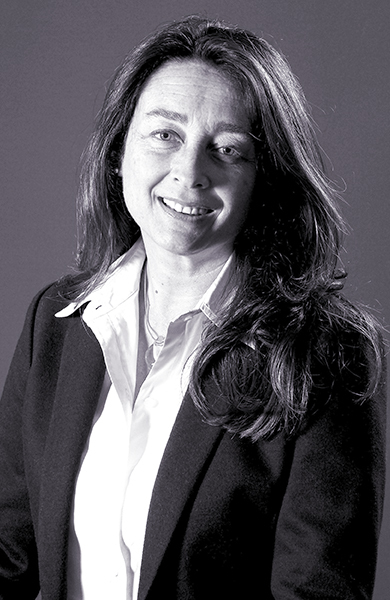 Initially trained in Paris and admitted in London, she joined Castaldi Partners in 1999. She moved to London in 2004, where she partnered in a successful start up. She deals with issues within corporate law, commercial contracts, intellectual property and immigration. Sarah Marangoni trained with White and Case in Paris, Merrill Lynch in New York, and practised with Salès Vincent & Associés back in Paris before joining Castaldi Mourre & Partners. She then moved to London and partnered in a successful start up. Advising over a ten year period in a research and development project involving leading financial and high-tech companies. Advising an international best selling author in the negotiations of contracts with global publishing houses as well as literary and speaking agents. Advising a start up publishing company. Advised in documentary and film negotiations. Advised a leading Cambridge scientist in securing his intellectual property ownership during a dispute. Advised in multiple acquisitions in France involving Italian and French companies. Assisted companies in obtaining multiple working visas for their non EU citizens in France. Represented several international corporations in their trademark and copyright protection. Université Paris II Panthéon-Assas-Sorbonne .